My dream some day is to have an actual working civilian ‘hog with a hydrogen powered engine, just like in the games. It will happen. I promise you. Why not just steal that one from the WETA workshop? 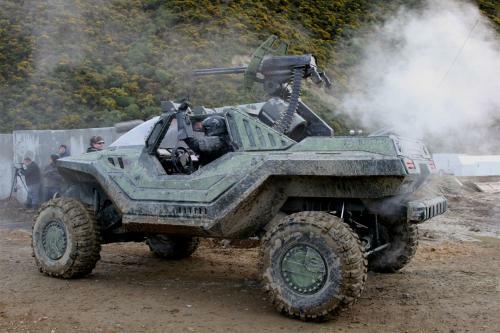 In halo 3 the tires say “Puma” on them. Does not have hydrogen powered engine = is fail. HAHA! That’s awesome that they say Puma. Yay Red vs Blue! Anybody heard about this stuff?? Correct me if I’m wrong, but didn’t nike make some colored tired (or semi-colored tires) for the hummer truck?